Today I wanted to tell you guys that I have new a project up on HomeDIT! 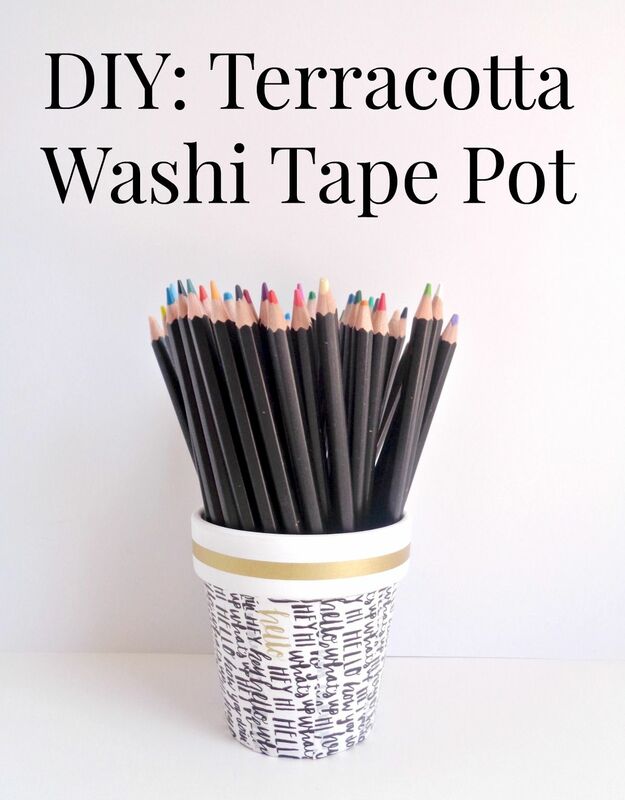 The project that is up on their site is my DIY: Terracotta Washi Tape Pot. This project was so much fun to make because it was so easy to put together. The DIY itself is only 3 steps, requires very little supplies, and can be customized to fit anyone's style. In addition, if you are a lover of washi tape, this DIY will totally be your jam! With all that being said, this terracotta washi tape pot is designed for storage and not planting. However, you could put a fake plant in the pot if you wanted to! To learn more about this project and to see the whole DIY, click here!